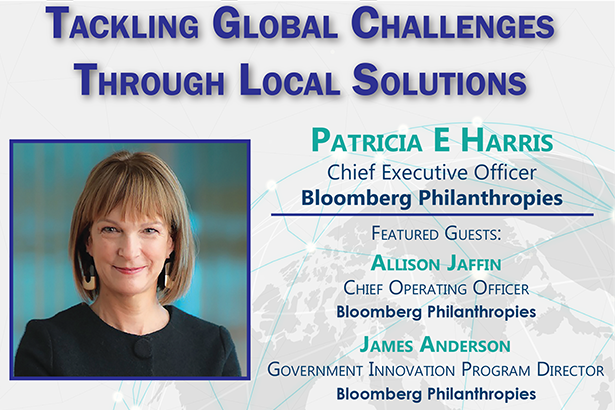 JOIN US Wednesday, April 10, at a new time, 3:30 - 4:45 PM, in the Rhodes Conference Room, Sanford Building, for a discussion on how Bloomberg Philanthropies partners with both the public and private sectors to improve and save lives through local action, tackling major global challenges like climate change and noncommunicable diseases. She will be joined by COO Allison Jaffin and Government Innovation Program Director James Anderson. Cocktail Reception to follow & RSVP Required.